Simple Signups is an agnostic single purpose WordPress theme designed and built to handle signups. 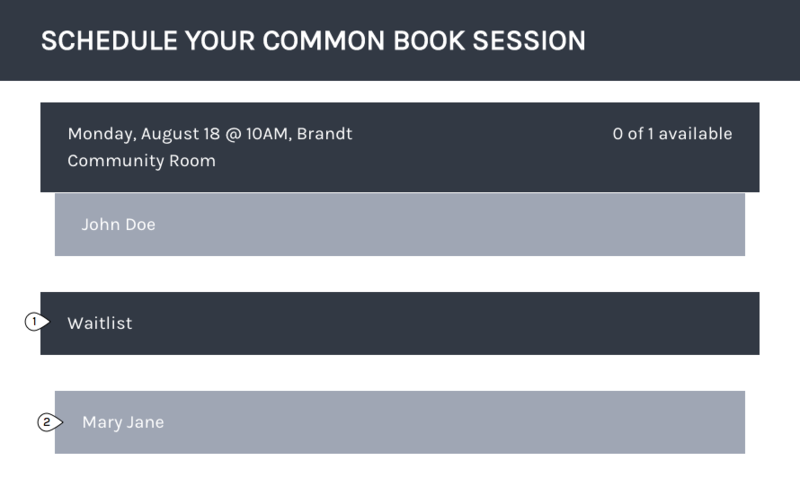 We built it to aid in the signup process for Common Book sessions at VCU. In the past this has been a lo-tech affair consisting of emails and phone calls to a single point person. I’ll write more about how to administer the theme and get into the nuts and bolts of the thing in separate posts but for now we’ll just examine the workflow for our users. Here we are searching for "Brandt" which results in all sessions in the Brandt building. The search looks in the title so it's all fair game. 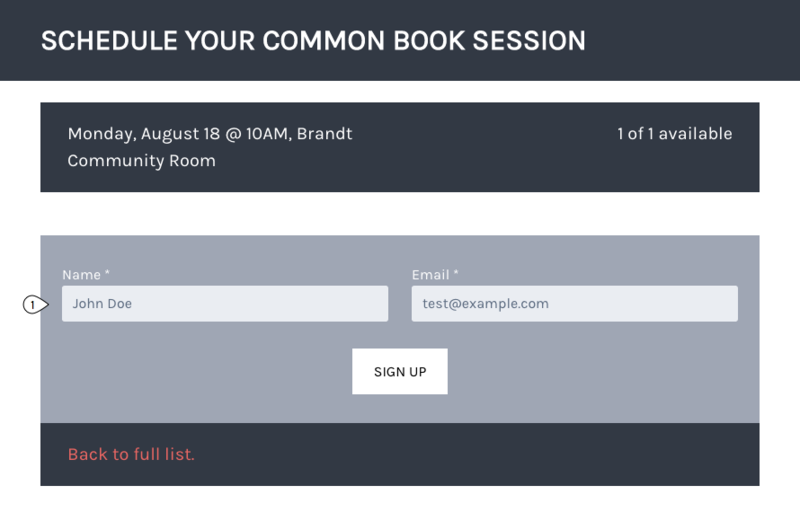 After selecting a session the user will find a form allowing them to signup. After successful completion of the form the user's name will appear in the list. What happens if a user signs up twice? If a user signs up after a session has become unavailable they will be wait listed. Admins can promote waitlisted users at their discretion. As I wrote this I realized that I had overlooked basic unavailable session management. Would be nice if you could just hide unavailable sessions. If however you support waitlisting and want to keep them visible we should provide a simple way for users to sort accordingly. Did you notice that spelling error? Google says waitlist is two words... oops. The next Simple Signups update will be on administering the theme and the various features available. What do you think? Useful or no? I described this as agnostic up above because while I consider this a single purpose theme and am pretty well opposed to themes that try to be all things for everyone I do like to support creativity and alternate uses. Would love to see some unconventional uses for this theme. A screw driver is a lever in a pinch after all.